Even though Java is considered one of the best feature-rich programming language, until Java 7, It didn't have any method to copy a file from one directory to another directory. It did have the java.io.File class, which provides a method to check if a file exists or not and methods for several other file operations but it lacks support for copying file from one folder to another. It was easy to write your own routine to copy a file using FileInputStream or FileChannel, most developers prefer to use Apache Commons IO library; which is not a bad idea at all. Even Joshua Bloch (author of several Java classes in JDK, including Java Collection Framework) advise using libraries instead of reinventing wheels in must read Effective Java book. The Apache Commons IO library provides a class called FileUtils, which contains several file utility methods including one for copying file from one directory to another. You can still use Apache commons IO for any missing functionality, but I doubt you would need it post JDK 7 new File IO package. Also if you are running on Java 5 or 6, you can take a look at FileChannel because it operates on buffer level, you can use it to copy large files from one location to another very efficiently. In this article, I'll show you three simple ways to copy a file from one folder to another using Java program. 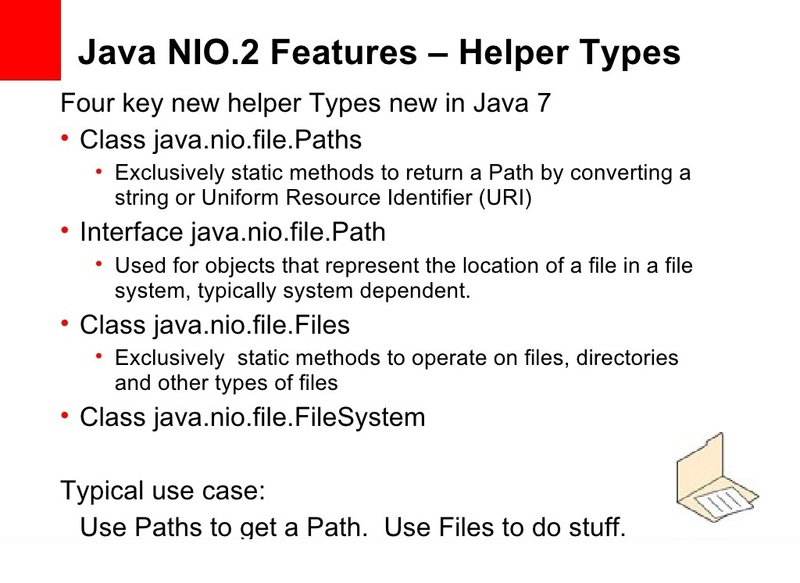 These three approaches shows how to copy a file in Java 6 or lower version by using fundamental FileInputStream class without using a third-party library, Apache Commons IO way for those who like to use a third-party library, and finally the standard way of copying file post-Java 7 using NIO 2.0 classes. This is the simplest solution to copy a file in Java and the best part of this code is that it will work in all version of Java, starting from Java 1 to Java 8. This method expects to source and destination file, which also encapsulate the path in the file system and then uses FileInputStream to read from source file and FileOutputStream to write to the destination file using a buffer (byte array) of 1KB. Even though the previous example of copying file was simple to code it wasn't thought to handle all scenarios and may fail while copying large files. This is where third -party library score well because they get the huge testing exposure with their large user base around the world and across the domain. Another advantage of using a third-party library like Apache Commons and Google Guava is that you need to write less code. Here we are just calling the FileUtils.copyFile() method, nothing else. Though, you may notice we have encapsulated the call to a third-party library in our own method. This is to protect every part of our code from directly dependent on this library. Tomorrow if you decide to use Google Guava or switch to Java 7 standard way of copying, you only need change this method and not every part of your code which using this method for copying. This is the best and right way to copy a file from one folder to another in Java. The only caveat is that this requires JRE 7 and compiled using Java 1.7 compiler. It's as simple as the second example but it doesn't require any third-party library in your classpath. You can further specify copy options to replace existing file or use standard options. 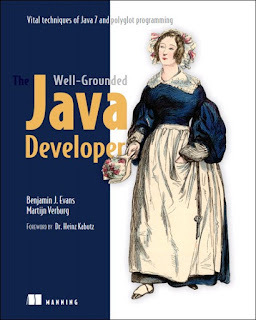 You can further read, The Well-Grounded Java Developer: Vital techniques of Java 7 and polyglot programming, it nicely covers important features of NIO 2.0 e.g. copying and moving files, watching a directory for change and other essential features for Java programmers. Here is our complete Java program to copy a file or a set of files from one directory to another. It includes all three examples for copying a file in Java. * How to write to a file using try-with-resource statement in Java. * file to copy dest is the path where to copy the file. You can see that all three approach works for a small file but it's the full regression test. You can try more by copying large file and checking which example copy the file faster. 1) The Files.copy() should be a standard way to copy a file from one folder to another, if you are working in Java 7 and Java 8. 2) For copying file in Java 6, you can either write your own code using FileChannel, FileInputStream or can leverage Apache Commons IO. I would suggest use Apache Commons IO as its tried and tested library and its best practice to use the library instead of writing your own code. Of course, this rule doesn't apply to a rockstar developers who are keen to optimize everything as per their application need. 3) Use FileChannel to write a file copy method in Java 5 and 6. It's very efficient and should be used to copy large files from one place to other. 4) If the target file already exists then the first solution will silently overwrite it. you can take care of it by supplying the file copy option REPLACE_EXISTING in Java 7 thought. and the third solution will create the directory and copy the file there, one of the best solutions. That's all about how to copy a file in Java. If you are on Java 7, use Files.copy() method, its simple and easy and you don't need to include any third party library, but if you are running on Java 6, then you can either use Apache commons IO library and FileUtils.copy() method or you can write your own routing using FileChannel to copy file from one folder to another in Java.